I left my guitar untouched for a week as I was away. Where I love there's no guitar repairer and I have to fix it on my own. How should I proceed. 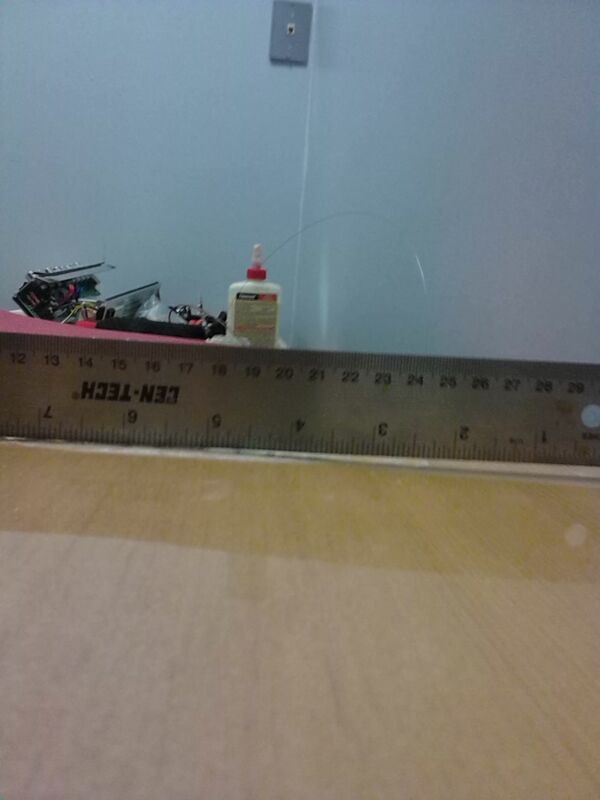 should I remove it completely or just use epoxy or something like that. Looks like an Epiphone. Try Gorilla wood glue. May have to add a couple short #10/24 bolts with 1/2" OD washers underneath, since there is so much damage to the soundboard. Well if you have some wood working skills, and if you have no one else to work on it, I guess your stuck... Don't use epoxy or any high tech glues.... Really the best for that would be Tightbond.. Its really good stuff, holds well, and in the future if you need to do more repairs, and remove it, it can be removed in conventional ways. You will need clamps that will fit in the sound hole. Id un string it, remove the plate, and clean it up as best you can before you reattach it. Lots of youtube vids on it out there. The big question is why it pulled. 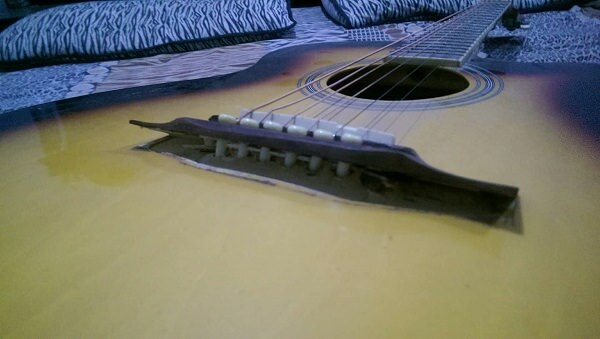 Normally that doesn't happen unless the guitar was left in a vary high heat environment.. like in a hot car. Id look the guitar over real well to make sure other glue joints are not failing. +1 on the Titebond. 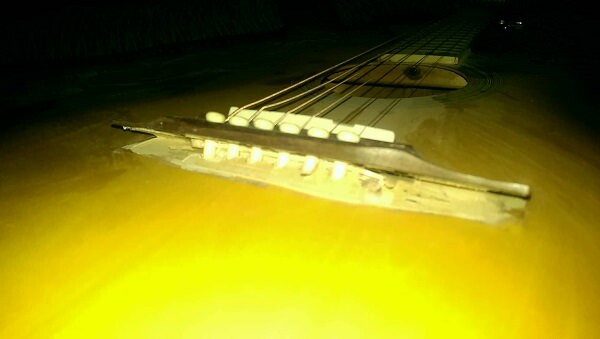 Do NOT use Gorilla glue - Gorilla glue expands, and your bridge will never end up in the right place - you will ruin the guitar! I own a music school, and we do some repair work. At the moment I am working on exactly the same repair. As LessPaul said, you need to hit the exact spot. 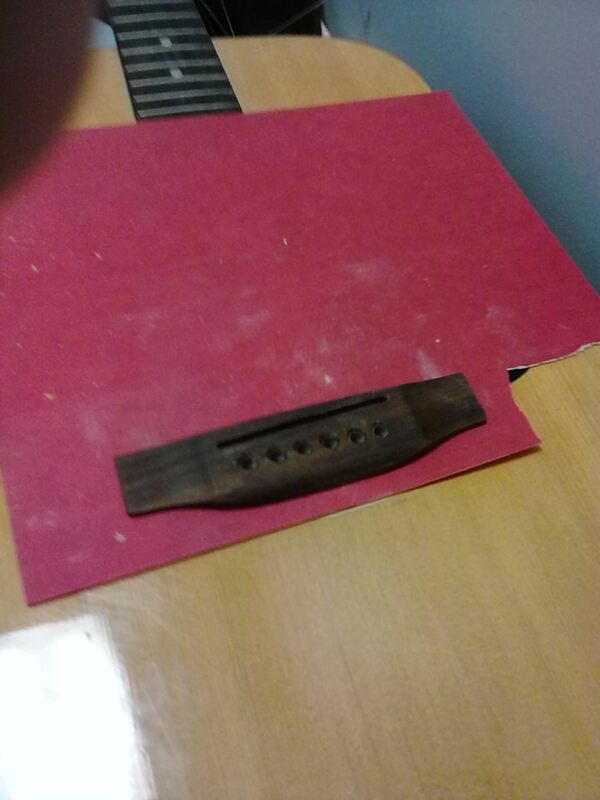 You also need to make sure the bottom of the bridge and the top of the guitar mate perfectly - this kind of damage happens when the top is bellying (curving upwards in the center) a bit, and the bridge isn't - that creates a tension that over time breaks the glue joint. If I get a chance I'll take some pics of the repair in progress so you can see what I'm describing. 5. Using a caul for gluing is important to get even clamping pressure. There are some fancy ones available, but I just use wood to build up a caul to match the profile of the bridge. The first pictures shows the cut pieces laid out on the bridge for test fitting, and the second picture is the pieces stacked to form the caul. 6. You'll need a clamp with a sufficient throat to reach the bridge - at least 4". Some people use multiple clamps, but if your caul fits the bridge properly you can get away with just one (which simplifies getting even clamping pressure). The third picture in this set shows the bridge clamped. I loved the idea of reshaping the bridge instead of forcing the top into place. Forced wood never lasts... there's a "that's what she said" joke in there somewhere. Also, I've never used anything but titebond and back in the day even elmer's. Good to know gorilla expands! I learned a lot so thanks! I do a lot more flute/sax/clarinet work than anything else (probably because those instruments need regular routine stuff like pad and cork replacement, and our students know I do all the work in-house). A lot of what I've figured out about guitar repairs actually comes from fixing other instruments. The idea for reshaping the bottom of a bridge came from doing work on violins and cellos - their bridges are thin and fragile, and I've replaced quite a few. 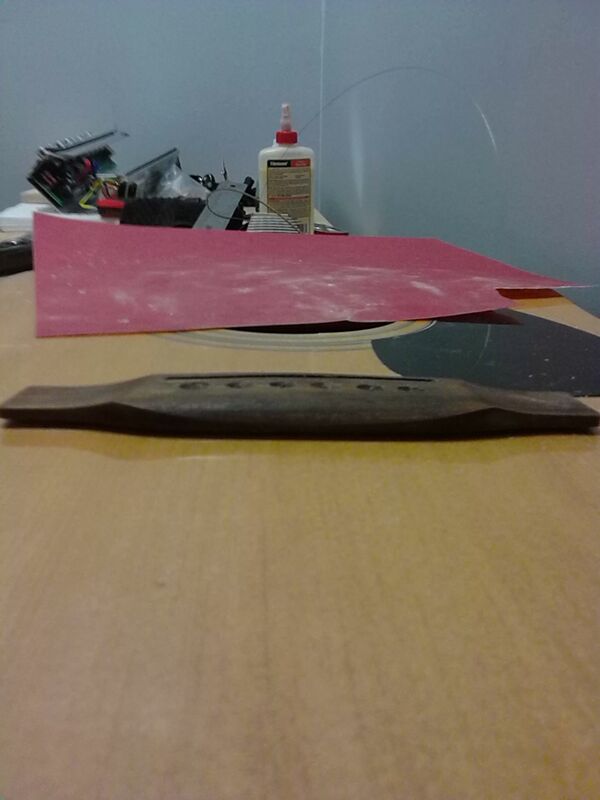 I've routinely used the sandpaper trick to get an exact fit with the curve of the top, because it greatly improves the sound of the instrument. Guitars have a lot more contact area with the bridge, so it probably isn't as critical - but when this one walked in the door, I figured it was the best solution for the problem.